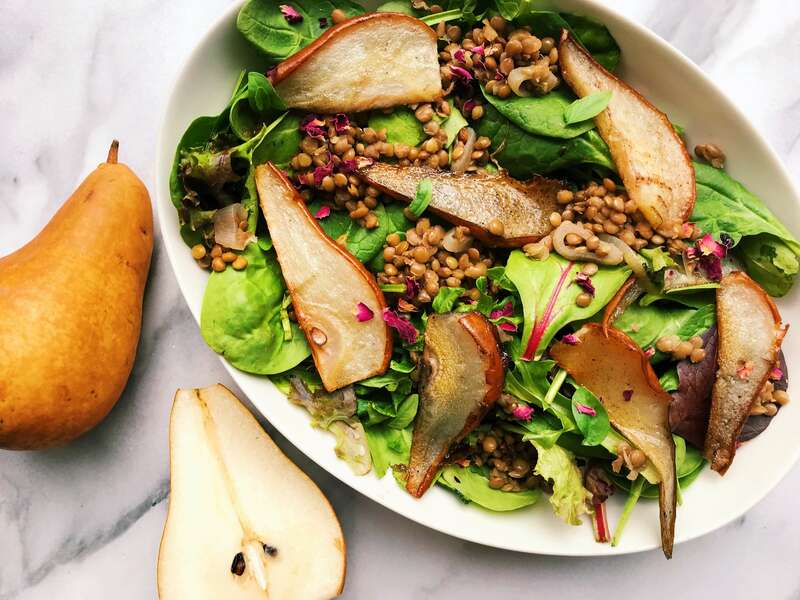 Red Bartlett pears steal the attention in this delicious chicken salad. Their brilliant red color combines visual appeal with flavor...doubly delicious! 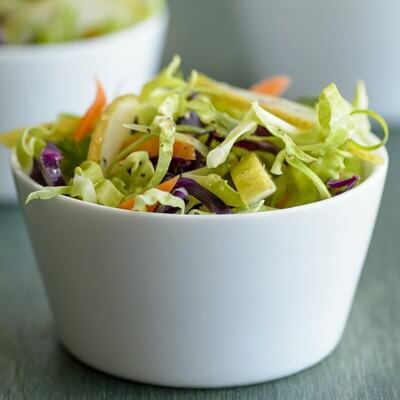 For salad: Cut slices from 1 ½ pears into chunks; toss all ingredients except remaining pear slices in mixing bowl. Arrange mixture on serving plate; garnish with pear slices. For dressing: Combine all ingredients and mix well.